NO VENDOR CHAIN! HOME ESTATE AGENTS are delighted to bring to the market this extended three bedroom semi-detached property located on the very popular Carrsvale Avenue in Urmston. 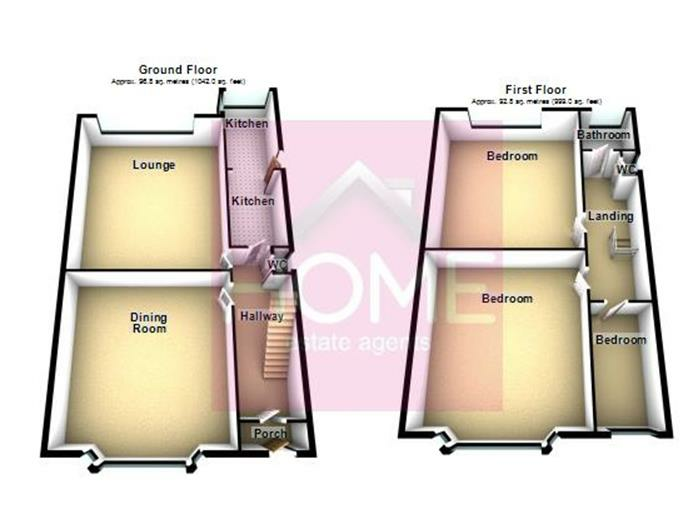 This sizeable property boasts spacious living accommodation to both floors and has been extended to the kitchen. In prime location with easy access to all local amenities and within the catchment area for several popular schools. The accommodation comprises of hallway, dining room, downstairs WC, lounge and extended kitchen. To the upstairs are three good sized bedrooms a bathroom and separate WC. The property is double glazed. To the outside front is a charming walled garden and driveway which continues to the side and rear. to the rear is an extensive well established garden with additional double gated access offering more off road parking. To book your viewing call HOME on 01617471177. UPVC double glazed opaque window to side. Wash hand basin. WC. UPVC double glazed bay window to front. Gas fire. UPVC double glazed window to rear. Gas fire. UPVC double glazed windows to side and rear. A range of fitted wall and base units. Rolled edge work tops. Splash wall tiling. UPVC double glazed bay window to front. A range of built in wardrobes. UPVC double glazed window to rear. A range of built in wardrobes. UPVC double glazed opaque window to side. Bath. Vanity wash hand basin. Splash wall tiling. Electric heated towel rail. UPVC double glazed opaque window to side. WC. Splash wall tiling. To the outside front is a charming walled garden and driveway which continues to the side and rear. to the rear is an extensive well established garden with additional double gated access offering more off road parking. To book your viewing call HOME on 01617471177.